Lotto Revenues is the affiliate program for Lottosend.com featuring some of the world's top lotteries such as EuroMillions, EuroJackpot, SuperEnalotto, PowerBall and MegaMillions. Lottosend is also unique for being the only lotto messenger that offers players real delivery by express mail. Lottosend is available in English and Slovak languages and can be played instantly on the web browsers without having to download. 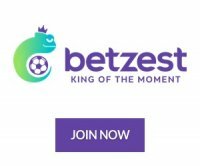 For affiliates interested in a long term consisted commission, this lottery affiliate program also pays if a player wins. Affiliates at LottoRevenues.com can earn from 15% up to 17% revenue share commission for life. Payments are made on the 10th of every month and you can receive your commission by either Bank wire, PayPal or Skrill (Moneybookers). As a special promotion, LottoRevenues is offering all new affiliates a special commission giving you double the amount of your first month's payout. One other motivation for affiliates is the monthly cash contest given to the top 10 affiliates happening every month. Affiliates working with LottoRevenues are provided with all the essential tools to market Lottosend. You'll be provided with advanced affiliate tracking methods called flash cookie tracking along with search engine optimized links including a wide range of banners to be put on your website. The affiliate program's system is available in multi languages including multilingual support to cater to affiliates all across the globe. You can easily view and monitor the campaigns you've created in the Reports section to check how they're performing along with other detailed reports on your commission providing you with even more details such as who had generated the commission, which campaign it came from, the country where the player resides and many other convenient tools to ease your work. LottoRevenues' affiliates can get a 15% up to 17% revenue share commission to promote Lottosend. For the first month of being an affiliate with LottoRevenues, you get double the payout amount you have generated as a special promotion for all new affiliates. Besides this, 10 affiliates can win cash for being in the Top 10 each month. This affiliate program is also one of the few that offer affiliates PayPal as one of the payment options in addition to Bank wire and Skrill (Moneybookers). Lottosend is available in English and Slovak, can be played instantly on the web browsers, and offers some of the world's biggest and most popular licensed lotteries for you to promote.